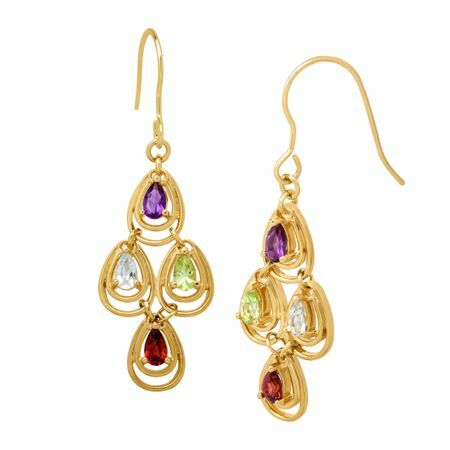 Add a burst of color to your look with these dazzling chandelier earrings. Showcasing a medley of faceted pear-cut 5x3 mm amethysts, garnets, peridots and sky blue topaz totaling 1 3/4 ct, these kaleidoscopic sparklers are fashioned from gleaming 18K gold over brass. Pieces measure 1 7/8 by 9/16 inches.